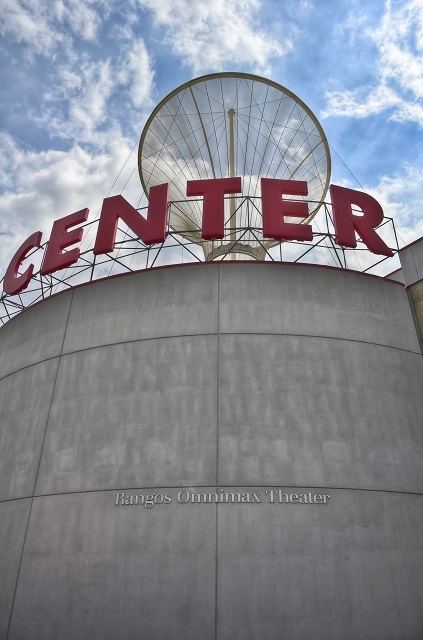 Carnegie Science Center’s Rangos Omnimax Theater on the North Shore will close for the renovations that will make it the Rangos Giant Screen Cinema. The new Rangos Giant Cinema will open in November, 2017, with the largest screen in Pittsburgh, Christie 4K-laser digital technology and Dolby Atmos Sound. The Rangos Omnimax Theater is located at the Carnegie Science Center in Pittsburgh. It is a four-story, state-of-the-art IMAX dome theater that projects movies onto a 30-foot screen which wraps around viewers, giving them a sense of immersion into the action on the screen. It is one of only 50 theaters of its kind in all of North America, and has Pittsburgh’s largest movie screen. The theater shows educational films seven days a week, starting at 11:15 AM thru 9:15 PM during the week (thru 9:45 PM on Fridays, 10:15 PM on Saturdays and Sundays). The films deal with a wide range of topics, from wildlife on the African Savannah to black holes and quasars in the Cosmos. Thousands of people visit the Rangos Omnimax Theater each year as they’re passing thru the Carnegie Science Center, which has a planetarium and numerous exhibits, and offers an array of camps, classes and workshops for children, as well as educators.